Furious Hooves | Super limited "Furhoof Suns" Shirts available now! Super limited "Furhoof Suns" Shirts available now! The east coast is getting hit with some strange weather this week... maybe you wish you were in Phoenix playing against the Hornets or the Supersonics back in the era of Jason Kidd, Cedric Ceballos, or the Round Mound of Rebound. 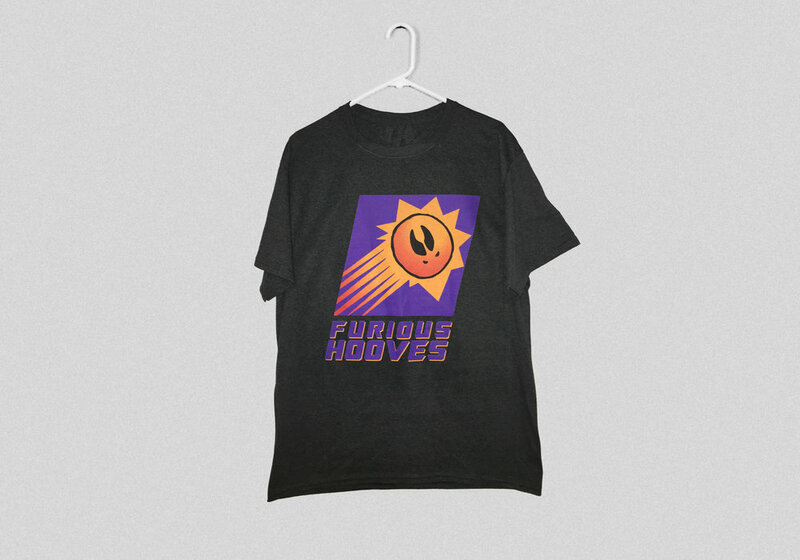 The Furious Hoops Throwback Shirt for the "Furhoof Suns" is now available in an extremely limited amount (12). And yes, it comes with a Furious Hoops Vol. 01 download (comp + PDF zine), "Bigfoot Baller" sticker, and a '90s-era NBA Trading Card. Order them before Chuck snags them all!